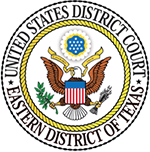 Kerrville Criminal Defense Attorney | Patrick O’Fiel, P.C. Skilled and professional lawyer to fight for the rights of our clients. If you or someone you love has been accused of a crime, is going through a family law situation, or hurt in a car accident, it can be a very stressful and hectic situation for your entire family. Our legal team at The Law Office of Patrick O’Fiel, P.C. has the experience and passion to help guide you and your family through the legal system and hopefully provide you with some peace of mind during your case. Attorney Patrick O’Fiel is a fifth-generation lawyer who has used his knowledge and skill to help numerous clients successfully navigate the legal process. The Law Office of Patrick O’Fiel, P.C. has more than 15 years of legal experience to offer you. When we take a case, our clients have access to a vast network of experts and professionals to help assist with your case, including medical experts, forensic experts, and appraisers. Whether you're going through a difficult family matter or are facing a criminal charge, we can help. Let us see what we can do for you and your situation today. We serve our clients throughout the Texas Hill Country, including Kerrville, Fredericksburg, Boerne, Bandera, Junction and surrounding areas. 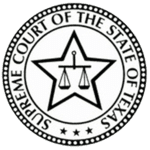 Learn more about how we can help you with our legal services by calling (830) 331-5977 or filling out our convenient contact form. *Misty O’Fiel (pictured right) is not an attorney. The decisions made in your case could change your life. At The Law Office of Patrick O’Fiel, P.C., we understand how important this is for you and we fight for the rights of each of our clients. We utilize our resources, contacts, knowledge, and experience to make sure we are doing what we can to best represent the best interest of each client. Our firm offers legal services to people throughout the Texas Hill Country. When you're looking for a compassionate and dedicated legal representative, don't hesitate to give us a call. Posted by The Law Office of Patrick O'Fiel, P.C.